Today I'm excited to welcome author Elizabeth Marx to The Cover Contessa! Windy City writer Elizabeth Marx brings cosmopolitan flair to her fiction, which is a blend of romance and fast-paced Chicago living with a sprinkle of magical realism. In her past incarnation she was an interior designer--not a decorator--which basically means she has a piece of paper to prove that she knows how to match and measure things and can miraculously make mundane pieces of furniture appear to be masterpieces. Elizabeth says being an interior designer is one part shrink, one part marriage counselor and one part artist, skills eerily similar to those employed in writing. 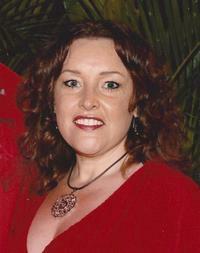 Elizabeth grew up in Illinois and has also lived in Texas and Florida. If she’s not pounding her head against the wall trying to get the words just right, you can find her at a softball field out in the boonies or sitting in the bleachers by a basketball court. Elizabeth resides with her husband, girls, and two cats who’ve spelled everyone into believing they’re really dogs. Elizabeth has traveled extensively, but still says there’s no town like Chi-Town. So without further ado, let's hear what Elizabeth has to say! I thought of being a writer when I was in elementary school, but by the time I went to college I decided that I was going to be a lawyer. After I finished undergrad I worked in the furniture business and then I decided to get a degree in interior design. I might have ADD about careers! That depends on a good many variables, but I think I’ve gotten it down to a couple of months now, but the first book I wrote was never finished. My first published title, Binding Arbitration I worked on for about three years on and off. 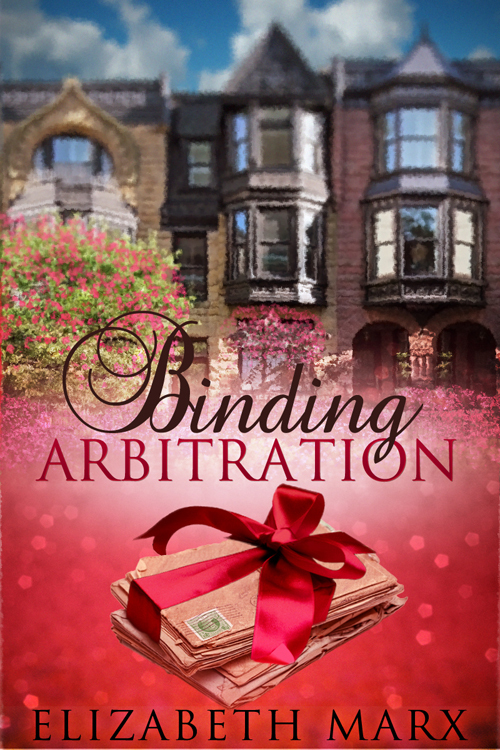 Binding Arbitration—How far would you go to save the one you love? 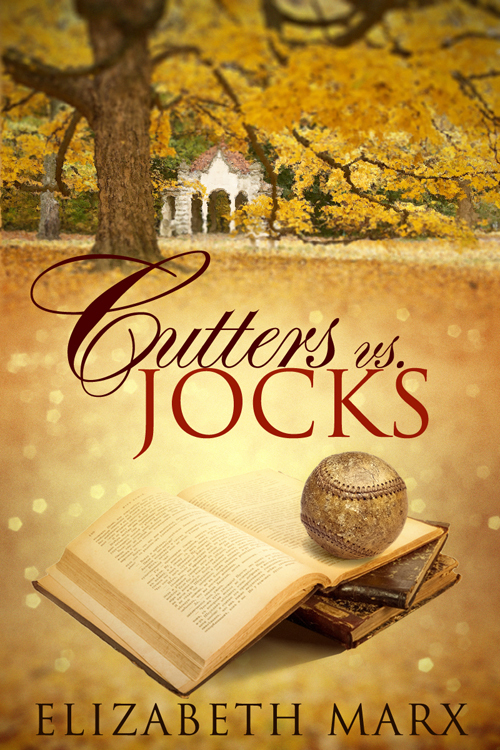 Cutters Vs. Jocks—Do you believe in love at first sight? How do you come up with the themes for your stories? Theme is something that develops for me during the course of the novel. I don’t start out with a theme, it happens once I analyze what the core meaning of the story is. I write in blocks of time, usually days where I shut down the internet and focus solely on the written word. How are you able to balance other aspects of your life with your writing? It’s not easy! I wake up in the middle of the night with an idea that I have to write down. Once when I was in a hotel with my family I had to write something down and I couldn’t find any paper in the dark so I resorted to using tissue in the bathroom. A story seems to fill me and I have to pour it out when it comes to me, sometimes it starts leaking at the worst possible moment and I have to put real life on a temporary hold and cater to the imaginary one. Strong determined hero, feisty heroine, and a strong central conflict that fights against each of the main characters individual goals. Conflict, conflict, conflict. What is the hardest thing about writing a book? How many books have you written so far? Do you have a favorite? I’ve written seven books that I’ve published. A book is like a child to me and so you don’t have a favorite one. You like different things about each one and each one offers its own challenges and rewards. Every character, even the sinister, slimy ones are a part of me, so no, I don’t have a favorite character—or child for that matter. In my office at my desk. I spiffed it up for you, but the second picture is what it looks like most often: organized chaos! I knew Binding Arbitration was going to be a hard sell for a publisher because of its theme, so after I won a writing contest with it, and I knew it was good enough to go to print. I decided to self-publish it and I haven’t been sorry yet. Have you gotten feedback from family about your books? What do they think? I have a very supportive family, they all encourage me and cheer me along. When I hit Amazon’s bestseller’s list I got flowers from my mother and father in law. Although, my husband takes bad reviews worse than me. What kinds of things do you do outside of writing? I love to decorate! Here’s Christmas tree #1, and I refuse to admit just how many trees I’ll have! And that’s the notorious Lord Luxor trying to attack it! Last year he managed to get one of the birds I put on it down from the top, and it’s 10’ tall tree! I also spend a lot of time in the stands, both my girls are travel athletes, one plays softball and the other one plays basketball, year round! What kinds of advice would you give someone who wants to start writing? Write, just sit down and write, especially a first book, but just know, most authors don’t let that first book see the light of day or in this case, they don’t let it go to press! What is your favorite book? Favorite author? Do you have an author that inspired you to write? I have a really great editor Melissa Ringsted at There for you Editing and I use several people for beta reading. Next I’m going back to a contemporary romance, titled Checkered Flags about a race car driver and an interior designer. Checkered Flags Tagline: Caution…sometimes you’re in the final lap before you even know what hit you. Thanks for taking the time to interview me Brooke. All your followers can find out more about me and my work on my website http://www.elizabethmarxbooks.com or follow me on Facebook at http://www.facebook.com/AuthorElizabethMarx I look forward to them dropping by to say hi!!! Thanks so much for stopping by today, Elizabeth! It's been great having you here on The Cover Contessa! Good luck on your new releases! Thanks for hosting me for an interview. If was a pleasure being on your blog. Happy reading and reviewing. Great interview :) I absolutely loved CvJ and BA. Libby and Aidan's story is both heartwarming and heartbreaking.